Evenk Shaman Song (more Evenk music on Evenkia website). References, and further reading linked to the cosmicelk webpage articles on the long history of Siberia - the origin of its mineral wealth and its turbulent history. Much of the material was originally intended for a printed book called: Siberia: Land Beyond Time, ISBN-10= 187443148, ISBN 13= 9781871443141. So far has all been published in articles, in magazines such as Clocks, as papers for conferences and publications, and most of it can be found in the cosmicelk.net website. This enables continuous updating, interaction, comments and additional information. The material has also been used for talks, presentations and adult education classes. The website is continously updated. The material is copyright of The Cosmic Elk, cosmicelk.net, and Heather Hobden. Feedback is always welcome. Links to webpages always welcome. On the cosmicelk website you will find links to articles, and to other websites, news, and other features. Book list and references and acknowledgements used for the WEA course, the original publications, articles, and other publications. Siberia hub page has links to other related pages in the Cosmic Elk and to Siberian websites. The mammoth-hunters of the last ice-age and their legacy. Siberia in the Neolithic, Bronze, and Iron Age. Medieval Siberian Invaders Evenk and others. 16th century Yakutia and the origin of the Sakha. 17th century Yakutia and the Russian Invasion. from first world war on to present. DNA and peopling of Siberia. References used in previous publications, printed, electronic or online, by Heather Hobden, cosmicelk.net. Some of these are now much more easily available than they were when first researched, and are now free downloads as pdf. There are many other books, these are just the ones that have found useful so far. Anuchin: V.I. : - Shamanism of the Yenisey Ostyaks, Academy of Sciences, St. Peterburg, 1914. Atlas USSR, Mosow 1982, (in Russian)- Has the industries of each region etc. Atkinson: T.W., Oriental and Western Siberia. London, 1858. Atkinson: Lucy, Recollections of Tartar Steppes. 1863, reprinted Frank Cass, London, 1972. Wife of above, but not mentioned by him in his book although she not only accompanied him, as she had been a governess there she spoke the language, most of the time they stayed with her friends, and during the trip, she had a baby, and had to look after him, as well as wash her husband's shirts. Life and Death according to the traditional beliefs of the Yakuts (translated by Albina Skryabina) published by The Cosmic Elk, ISBN 1871443121, 1995. Bond: E. A., Russia at the Close of the 16th century, London, 1856. Cochrane: J. D., Narrative of a pedestrian journey through Russia and Siberian Tartary from the frontiers of China to the Frozen Sea and Kamchatka . London, 1824. Drawing Shadows to Stone - the photography of the Jesup North Pacific Expedition 1897-1902, American Museum of Natural History, ISBN 0295976470, 1997. (Thanks to Dr. Marylou Solbrig who sent me a copy). Early Voyages and Travels to Russia and Persia by Anthony Jenkinson and other Englishmen Vol.1, editors Morgan, E.D., Roote: C.H. - New York USA. Englehardt: A. P, A Russian Province of the North. Constable, London, 1899. Fyedorov: I. S., Sakha-English phrase book, Yakutsk, 1993. 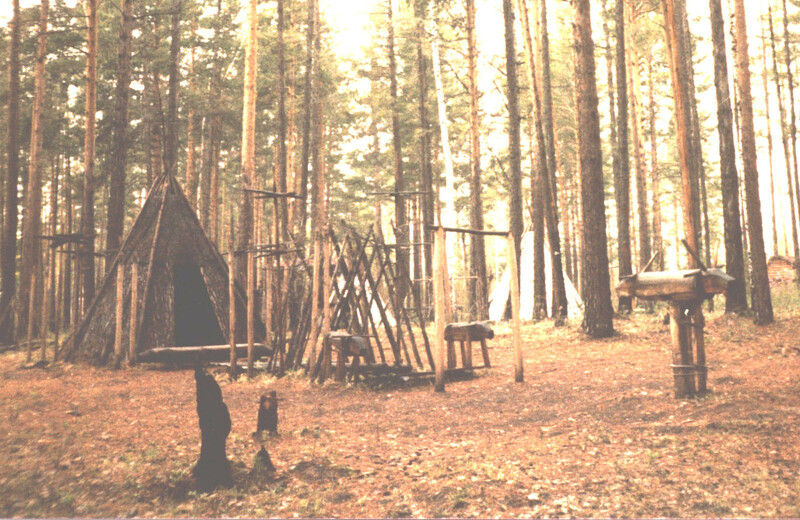 Archaeological Remains of the Yakuts in the late Medieval Period, 14th to 18th centuries (in Russian) Yakutsk, 1990. Hajdu: P., (editor) Ancient Cultures of the Uralian Peoples. Corvina Press, Budapest, 176. Hakluyt: R., The Principal Navigations, Voyages and Discoveries of the English Nation. 1580. Hakluyt Society edition 1903, Vol.1 of 8 vols. - pp. 352-356, eye-witness account of Samoyed shaman's rites. Hoffecker: John, Desolate landscapes: Ice-age settlement in Eastern Europe. 2002, ISBN 0-8135-2992-1. His wife did most of the real work - unpaid - left him and became a doctor. He was there to put up the telegraph line from America to Europe, but once they got the transatlantic cable laid, this line was abandoned. Lengyel: Emil, - Secret Siberia, London, 1947. Mihailov:Alexey - Yakutia 1994 (photos Victor Yakolev), Moscow 1994. Nilsson: M. P., Primitive Time-Reckoning. OUP, 1920. Petrova: T. I., Sakha-Russian grammar, Yakutsk, 1994. Prehistoric Maritime Adaptations of the Circumpolar Zone, edited by W. Fitzhugh, The Hague, 1975. Rondière: Pierre, - Siberia, (translated from French) London, 1966. Russia's Eastward Expansion, editor=Lenson: G.A., London, 1964. Sakha (Yakutia) The Magic Country, Yakutsk, 1994. 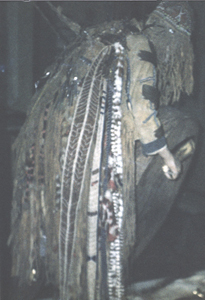 Shamanism in Siberia - editors: V. Diószegi and M. Hoppal, Budapest, 1978. Shirokogoroff: S. M. Psychomental Complex of the Tungus, London 1935.
also What is Shamanism, in The China Journal of Science and Arts 1924. Soviet and Western Anthropology, editor: E. Gellner, London, 1980. Stringer: Chris, Homo Britannicus, 2006, ISBN-13 978-0-713-99795. Well presented book - could do with works like this on other parts of the world..
State Ethnographic Museum of the Peoples of the USSR - Leningrad, 1980. Studies in Siberian Shamanism, editor, H. N. Michael, (translated) Toronto, 1963. Vainshtein: Sevyan, Nomads of South Siberia, Cambridge 1980. Vasilyeva: Yu. I., editor - Sakha-Russian, Russian-Sakha Dictionary, 1994. Webb: Steve, The First Boat People, Cambridge University Press, 2006, ISBN-13 978-0-521-85656-0. Gives a good account of the early population and evidence its movements along waterways, much earlier than traditionally thought. Very well constructed book which goes by the latest evidence, not by established beliefs. Wenyon: Charles, Across Siberia on the Great Post Road. (He went from China westwards) - London, 1896. Willian, T: The Muscovy Merchants of 1555, Manchester, 1953. The Early History of the Russia Company 1553-1603, Manchester, 1956. Yakut Tales (from the land of the Olonkho) - in Russian, Yakutsk, 1990. Yakut Ethnographic Sketches, USA, 1953. The Yana RHS Site: Humans in the Arctic Before the Last Glacial Maximum, by Pitulko et al. in Science Magazine, 2 January 2004, pp. 52-56. Most of the modern travel books deal with the Trans-Siberian Railway. If you want to see more of "real" Siberia - go on a tour - such as up the River Lena from Yakutsk. Interested in Siberia since a girl. Later found out out more and travelled there. Was interested in early timekeeping in Siberia, much of which has been published in articles in "Clocks" and other publications, in the 1970s and 1980s and 1990s, and updated since. Since I could not travel to Siberia and around Siberia anywhere near as much and as often as I would have liked, I am extremely grateful to the many friends I have encountered over the years, who have helped me with information, and books. They have included Irina, Eddi, Tiina, Gertrude, Marguerite, Matriona and Maria, Sardana, Tanya, Albina, Kamila, and many others. Ask the Evenk Udagan for the weather where she is.